New course offered: ENGR 891, "STEM Teaching"
Taren Daher, instructional design technology coordinator in the College of Engineering. A new graduate-level course -- ENGR 891, "Stem Teaching", Sect. 001 (class #9735) -- has been announced for the Spring Semester 2018. Taught by Tareq Daher, the instructional design technology coordinator in the College of Engineering, the course is designed to provide training for graduate students who currently are or will be teaching at the postsecondary level. Evidence-based teaching methods applicable to Science, Technology, Engineering, and Mathematics (STEM) will be investigated and a learner-based pedagogy will be used to engage those in the course to experience STEM Practices. The common element of problem solving is emphasized across all STEM disciplines allowing students to discover, explore, and apply critical thinking skills as they learn. This course provides a forum in which to discuss issues of learning, teaching, and assessment. 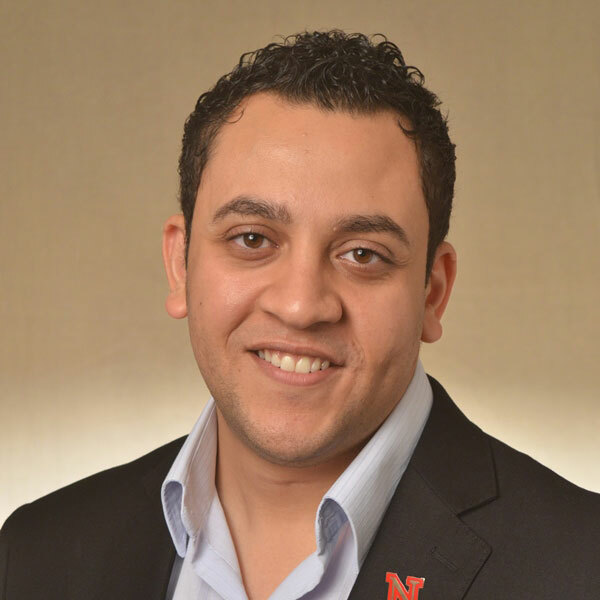 For more information about the class, contact Dr. Daher at tdaher2@unl.edu or by phone at (402) 472-4374.